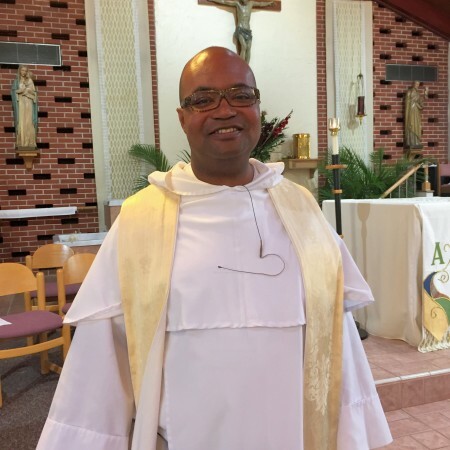 Father Jeffery Ott, O.P., is a friar of the Order of Preachers serving as Pastor of Our Lady of Lourdes Catholic Church, the first African American Catholic Church in Atlanta. He is the President of the Board for Interfaith Community Initiatives and serves on the leadership council for the Southern Dominican Province. Father Jeffery received a Master of Arts in Theology and a Master of Divinity from the Aquinas Institute of Theology in St. Louis, Missouri. Before becoming pastor of Lourdes, Jeffery served his alma mater, Xavier University of Louisiana, as University Chaplain. He enjoys travel, singing, and communing with friends and family.